Chet Traylor: Stalking Horse For Melancon? On Friday Sen. David Vitter’s campaign offered its first substantial comment on the candidacy of Republican challenger Chet Traylor, whose entrance into Louisiana’s U.S. Senate race has been met with a smattering of interest and controversy over his affairs of the heart with other people’s wives. The Vitter campaign’s communique on Traylor didn’t address hot-button issues. It was a bit more general than that. It flat-out accuses Traylor of being a shill for Democrat challenger Charlie Melancon in the primary. To wit: “Newspapers and other reports have now confirmed what we suspected all along — our Republican Primary opponent is nothing more than a tool and stalking horse for Charlie Melancon,” the e-mail states. The idea of Traylor-as-straw-man has been around since the very beginning of his campaign. There are rumors that Traylor and Melancon became chummy decades ago when the former was a state trooper and the latter a lobbyist for the sugar industry, both in the coterie of then-Gov. Edwin Edwards. We’ve yet to find documentation of that angle, though it has adherents within the “insider” community at the state capitol. But there are other connections, some of which the Vitter campaign has alluded to in its fundraising letter on Friday. First, Traylor is a partner in a trial law firm (a not-insignificant point, given the prominence of trial lawyers in Melancon’s campaign funding and in the Louisiana Democrat Party in general) with a pair of attorneys who made nearly max-out donations to John Edwards’ campaign in 2004. According to OpenSecrets.org, Laurence E. Best of Best Koeppel Traylor donated $2,000 to Edwards in February of 2003, as well as $450 to Mary Landrieu in the 2008 cycle, $600 to the “Human Rights Campaign” in 1996, $500 to the “Gay & Lesbian Victory Fund” in 2004 and $1,500 to Juan LaFonta’s Congressional campaign in December of last year. Best also donated $500 to George W. Bush’s reelection campaign in 2004, which is something of an outlier. The same site has Peter Koeppel donating $2,000 to Edwards’ 2004 campaign in January 2003, then donating another $2,000 in March of that year – a donation which was returned in April, as it put Koeppel over the federal limit. Does the fact that Traylor’s law partners donated richly to the slimiest left-wing Democrat candidate anybody has ever seen prove anything? Not really. But it does fit with a pattern of information the Vitter campaign is assembling in its efforts to identify Traylor as a stalking horse. Democrats would like nothing better than to see Sen. David Vitter dilute his fundraising advantage by having to spend money on his unexpected primary race against former Louisiana Supreme Court Justice Chet Traylor. The Democrats have been promoting the Traylor campaign as if he were one of their own. For example, a Louisiana Democratic official sent out an e-mail last week to point out Traylor’s appearance on the ABC/Washington Post online TV program, “Top Line.” Traylor has been raising some of the same issues as Rep. Charlie Melancon’s campaign, saying in the online interview that Vitter hasn’t been an effective senator because he doesn’t work well with his colleagues. Traylor also questioned why Vitter waited almost two years to fire an aide who was accused of assaulting a woman with a knife. Melancon has gone out of his way to praise Traylor. In a telephone conversation with reporters, he predicted that if Traylor upsets Vitter in the GOP race, the November Senate race would be one “of the nicest” in modern Louisiana politics, suggesting he and Traylor would keep their debate civil. Even early on, the Vitter/Melancon race has been anything but civil. Among the Louisiana Democrat officials working with Traylor are Taylor Townsend and Don Kelly, former state legislators allied with Edwin Edwards who are now law partners in a plaintiff firm in Natchitoches. Moon Griffon noted on his radio show last week that Traylor has enlisted Townsend and Kelly to help him raise money for the campaign, complete with a meeting last week. Fletcher was also quoted in the Picayune article saying Traylor would have $500,000 in declared funds for the just-completed filing period, the finance statement from which will be due out no later than Monday. On the issues, there is little daylight between Vitter and Traylor. though the challenger criticized Vitter for pushing legislation that would cap corporate liability in the event of disasters such as the Deepwater Horizon spill, with the limits being tied to a company’s quarterly profits. Traylor, during an interview last week at the St. Charles Avenue law office of Best, Koeppel & Traylor, where he became a partner last year after resigning his Supreme Court seat, would not say who is financially backing his bid, but said it’s mostly coming from Republicans who are worried that Vitter’s transgressions could lead him to lose the election to Melancon. “I think they are very afraid that they’re going to have another Democratic vote in the Senate,” Traylor said. Two observations on this: Traylor, who is a plaintiff lawyer in New Orleans now, can only voice a policy disagreement with Vitter on the issue of corporate liability – whose support is that designed to attract? And second, if you’re going to raise $500,000 in a month in Louisiana for a candidate nobody has heard of, who happens to be a trial attorney, and you’re limited to $2,400 per donor, you’re going to raise it from trial attorneys. Period. But what seems to really have ignited the Vitter campaign’s thought processes in identifying Traylor as a shill for Melancon was the report of a meeting last week between the candidate and Lafayette millionaire Wayne Elmore. Elmore, a longtime friend of Melancon’s who was a Kappa Sigma with the Democrat Congressman at the University of Southwestern Louisiana (now ULL) in the late 1960’s, was instrumental in helping to launch the latter’s political career by helping to wrangle funds out of other fraternity members and members of the business community in south-central and southwestern Louisiana. 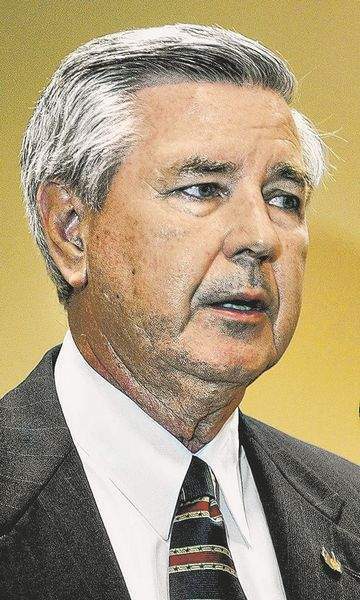 Elmore, another former Edwin Edwards associate, gave $15,000 to the State Democratic Victory Committee and $15,000 more to the Democratic Senate Campaign Committee in the 2008 cycle and his family has contributed over $50,000 to Melancon over the years. In fact, Elmore and Melancon are so chummy that in 2008, Melancon made his donor and friend King of the Washington Mardi Gras Ball. Elmore, his wife Connie and his daughter Brittany are profligate campaign donors, with contributions going not just to Melancon but also to Mary Landrieu ($4,600), Hillary Clinton ($3,300), Paul Carmouche ($4,600), who ran as a Democrat in 2008 against John Fleming for the 4th District seat, Ned Doucet ($4,000), who ran as a Democrat in 2004 for the 7th District seat but didn’t make it to Election Day, Willie Landry Mount ($3,000), who lost to Charles Boustany for the 7th District seat in 2004, John Kennedy ($4,600) for his Senate bid against Landrieu in 2008, and – perhaps to cover his tracks, Boustany, Fleming and Vitter in small amounts. The report the Vitter campaign received, they say, is that Elmore and Traylor were seen at a restaurant going over call sheets of donors. Whose donors is a question, but if the allegations of Traylor being a stalking horse for Melancon are to be believed it’s not hard to infer that the first group of prospects would be Melancon donors who have already maxed out. Traylor’s campaign manager Lev Dawson said Friday he has no knowledge of the alleged meetings taking place, but that Traylor is willing to work with strongly conservative elected officials, regardless of their party affiliation. “It shows that Vitter is panicking,” Dawson said of the e-mail. Which is an interesting set of quotes. First, Dawson says Traylor is willing to work with “strongly conservative elected officials, regardless of their party affiliation” – exactly who are those? And does that tie very well into Traylor’s statement that conservatives and Republicans are bailing on Vitter? Second, why is it evidence that Vitter is panicking that he’s raising questions about whether Traylor’s campaign is a put-up job? And the third quote sounds a whole lot more like it comes from Melancon’s camp than Traylor’s. Where’s the poll showing that Traylor is closing the gap on Vitter? Traylor’s campaign finance report will be an interesting one. If his donor list is a substantial rehash of Melancon’s, or if it’s a who’s-who of Democrat donors or trial attorneys around the state, then two things will become clear. First, the narrative of their being lots of Republicans jumping on board his campaign out of pique with Vitter’s personal baggage or fear that Vitter can’t beat Melancon is disingenuous at best. And second, the accusation that Traylor’s campaign is a cookup and a plant will gain steam quickly.